If you’ve come to this page, you’re probably already sold on Extensive Reading (ER). This page is to help teachers share ER with other teachers as well as students. 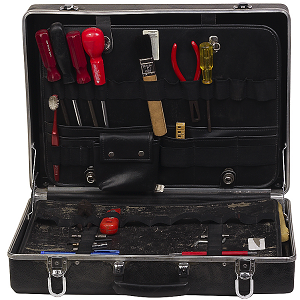 • Do a presentation at a local, regional or national conference. Remember, you don’t have to be an “established academic” to have something important to share. Often showing what you’ve done in your own classroom is very helpful to other teachers. • If you have a local teachers’ group, organize a discussion about how people teach reading. • Write an article for a teaching newsletter or magazine. • Organize an ER special issue of a teaching magazine for an organization you are a member of. • Organize an ER colloquium for a conference of an organization you are a member of. • Print out the “ER Top 10” handout. Give copies to colleagues. Try to start a discussion. • If there are ER sessions at conferences you attend, go to them. Get to know other teachers interested in ER. What you do together? The Extensive Reading Top 10 by Richard Day (Univ. of Hawaii and Julian Bamford (formerly Bunkyo Univ.). Click here for a pdf of a summary of their ideas in easy English so student can understand it as well as teachers. 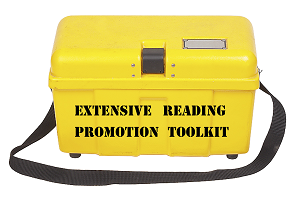 The ERF’s Guide to Extensive Reading: A free handbook download explaining ER. 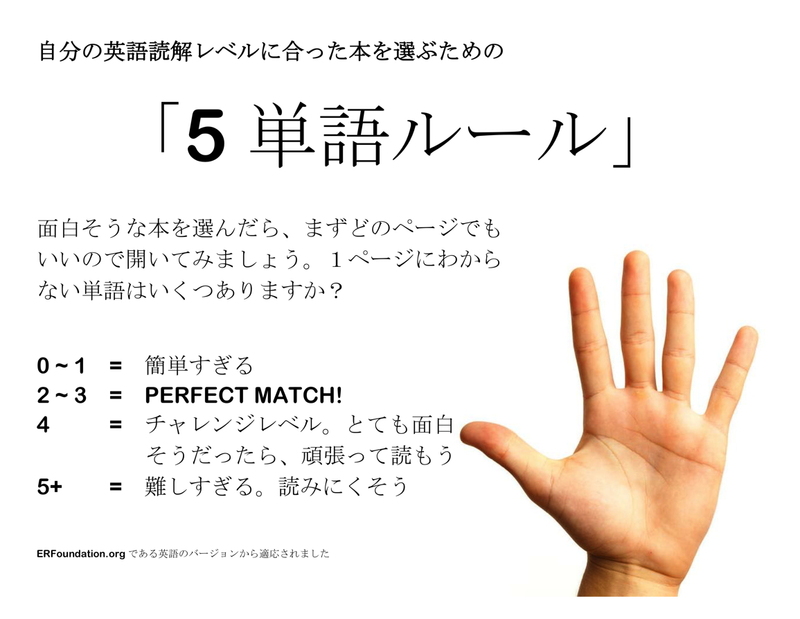 ERF Guide English Now also available in Japanese, Korean and a few other languages. One double-sided A-4 or Letter-size sheet. Click on the image to download a copy. This set of slides is available in English and several other languages. You can use them in presentation to demonstrate to teachers why the books need to be easy. You can also use them with students to help them understand this key idea behind ER. Your students’ native language(s) not here? Can you help us by translating the video? Contact exec@erfoundation.org to help. Here are three PowerPoint presentations about Extensive Reading. You can downloads them to watch them yourself or even to borrow slides from for your presentations. If you do, please acknowledge the author and the Extensive Reading Foundation. 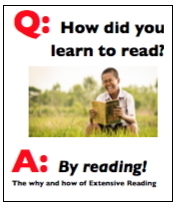 An Introduction to Extensive Reading by Richard Day, (University of Hawaii and Founder Emeritus of the ERFoundation). A mainly text-based presentation covering the basic of ER. Click here to download. Extensive Reading for Building Fluency in Adult ELLS by Doreen Ewert (University of San Francisco and member of the ERF Board of Directors). A general ER overview and description of an program in an ESL situation. A mix of graphic and text-based presentation. Click here to download. ER: Extensive Reading/ Effective Reading by Marc Helgesen (Miyagi Gakuin Women’s University and Past Chair of the ERF). A mainly visual introduction to ER and ER activities. There are two versions, one from the Philippines and one from Indonesia. They are similar but the one for Indonesia was modified to make it more appropriate for the culture. Since it is visual, you may want to watch the SlideShare version. What is Extensive Reading? Ten slides in a quiz format, asking questions such as “Who should choose the reading material?” or “How fast should they read?” Each slide gives choices and then lets the audience decide their answers before they are revealed on the slides. Click here to download. How do students know if a book is easy enough? 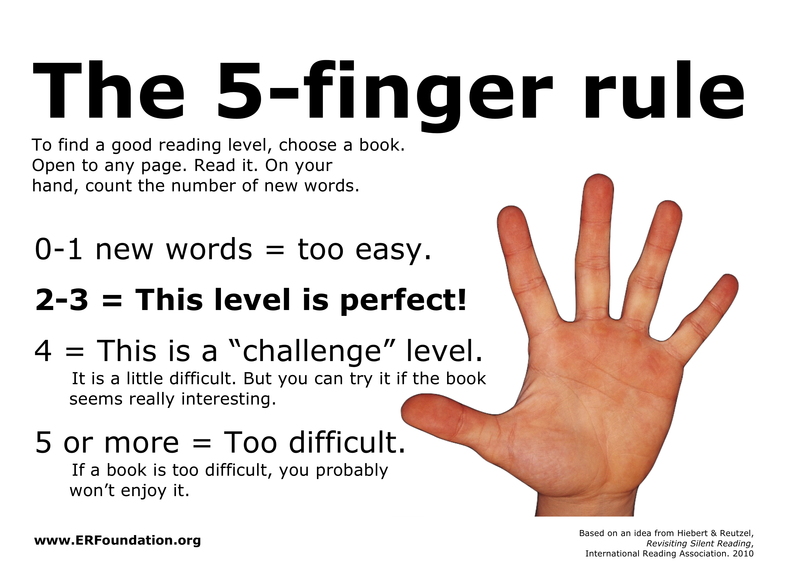 The “5-finger” rule is a good way. If you would like to help make a version in your language, you may download the script, enter your translation below each line and send the completed document to tokyokevin at gmail who will try create the new version, depending on his time constraints. 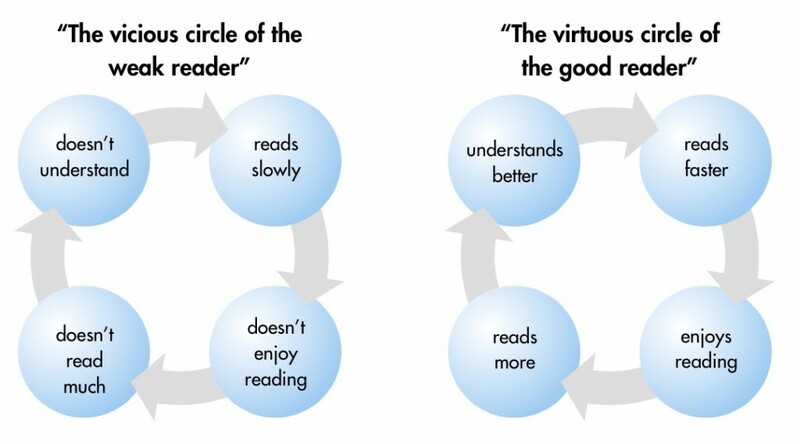 The “Vicious” and “Virtuous” circles.